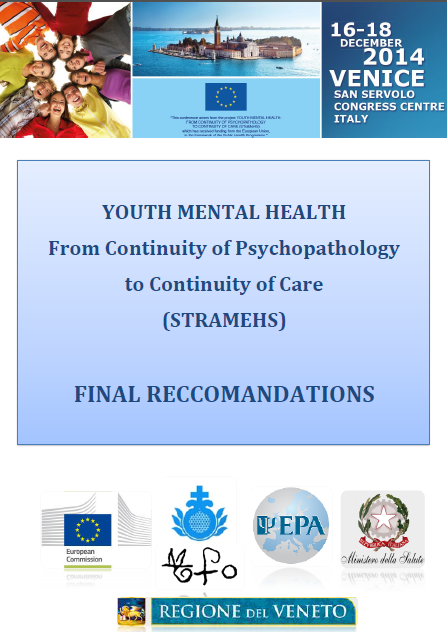 The Stramehs' Scientific Committee, with the active contribution of all participants to the conference, has drafted this document with the aim of leading the improvements in the delivery of mental health services for young people, in their availability and accessibility. Young people aged 10–24 years represent 27% of the world’s population, and up to 75% of mental disorders occur within 25 years (Kessler et al., 2007). If many mental disorders continue across different developmental stages, do mental health services guarantee continuity of care? Unfortunately, the current service configuration of distinct Child and Adolescent Mental Health Services (CAMHS) and Adult Mental Health Services (AMHS) is a barrier to providing continuity of care. For this reason, the current service configuration of CAMHS and AMHS has been described as the "weakest link in a system where it should be most robust" (McGorry, 2007). 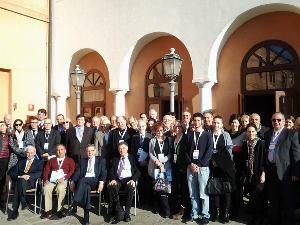 Therefore we need a new, evidence-based "youth mental health paradigm": the STraMeHS Conference aims at raising awareness and improving the knowledge of mental health providers, policy makers, decision makers and health administrators about youth mental health and factors affecting this area. The event will also promote the development of integrated and continuous models of care and functioning of mental health services targeted to the specific needs of youth.